This article is about the mountain in Scotland. For other uses, see Ben Nevis (disambiguation). Ben Nevis from Banavie. The summit is beyond and to the left of the apparent highest point. "Venomous mountain" or "mountain with its head in the clouds"
Ben Nevis (Scottish Gaelic: Beinn Nibheis, pronounced [peˈɲivəʃ]; English: /bɛnˈnɛvɪs/) is the highest mountain in the British Isles. Standing at 1,345 metres (4,411 ft) above sea level, it is at the western end of the Grampian Mountains in the Lochaber area of the Scottish Highlands, close to the town of Fort William. "Ben Nevis" is an Anglicisation of the Scottish Gaelic name "Beinn Nibheis". "Beinn" is the most common Gaelic word for "mountain", "Nibheis" is variously understood, though the word is commonly translated as "malicious" or "venomous". An alternative interpretation is that "Beinn Nibheis" derives from "beinn nèamh-bhathais", from "nèamh" "heavens, clouds" and "bathais" "top of a man's head". One translation would therefore be "the mountain with its head in the clouds", though "mountain of Heaven" is also frequently given. 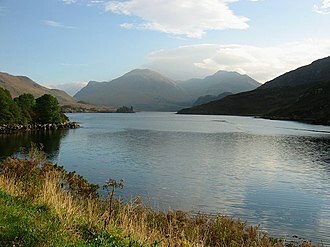 As is common for many Scottish mountains, it is known both to locals and visitors as simply "the Ben". Ben Nevis forms a massif with its neighbour to the northeast, Càrn Mòr Dearg, to which it is linked by the Càrn Mòr Dearg Arête. Both mountains are among the nine in Scotland over 4,000 feet (1,200 m); Aonach Beag and Aonach Mòr are also on the Nevis massif. A descent of 200 metres from this corrie leads to the Charles Inglis Clark Memorial Hut (known as the CIC Hut), a private mountain hut 680 metres (2,230 ft) above sea level, owned by the Scottish Mountaineering Club and used as a base for the many climbing routes on the mountain's north face. The hut is just above the confluence of Allt a' Mhuilinn and Allt Coire na Ciste. 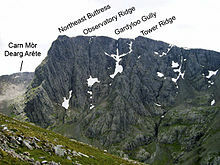 In addition to the main 1,345-metre (4,413 ft) summit, Ben Nevis has two subsidiary "tops" listed in Munro's Tables, both of which are called Càrn Dearg ("red hill"). The higher of these, at 1,221 metres (4,006 ft), is to the northwest, and is often mistaken for Ben Nevis itself in views from the Fort William area. The other Càrn Dearg (1,020 m (3,350 ft)) juts out into Glen Nevis on the mountain's southwestern side. A lower hill, Meall an t-Suidhe (711 metres (2,333 ft)), is further west, forming a saddle with Ben Nevis which contains a small loch, Lochan Meall an t-Suidhe. The popular tourist path from Glen Nevis skirts the side of this hill before ascending Ben Nevis's broad western flank. Ben Nevis is all that remains of a Devonian volcano that met a cataclysmic end in the Carboniferous period around 350 million years ago. Evidence near the summit shows light-coloured granite (which had cooled in subterranean chambers several kilometres beneath the surface) lies among dark basaltic lavas (that form only on the surface). 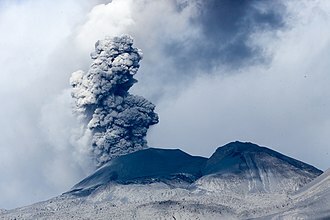 The two lying side-by-side is evidence the huge volcano collapsed in on itself creating an explosion comparable to Thera (2nd millennium BC) or Krakatoa (1883). The mountain is now all that remains of the imploded inner dome of the volcano. Its form has been extensively shaped by glaciation. Research has shown igneous rock from the Devonian period (around 400 million years ago) intrudes into the surrounding metamorphic schists; the intrusions take the form of a series of concentric ring dikes. The innermost of these, known as the Inner Granite, constitutes the southern bulk of the mountain above Lochan Meall an t-Suidhe, and also the neighbouring ridge of Càrn Mòr Dearg; Meall an t-Suidhe forms part of the Outer Granite, which is redder in colour. The summit dome itself, together with the steep northern cliffs, is composed of andesite and basaltic lavas. 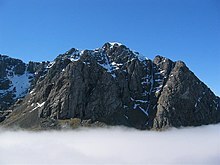 Ben Nevis has a highland (alpine) maritime (oceanic) Polar climate (ET climate in Köppen's classification). Ben Nevis's altitude, maritime location and topography frequently lead to cool and cloudy weather conditions, which can pose a danger to ill-equipped walkers. According to the observations carried out at the summit observatory from 1883–1904, fog was present on the summit for almost 80 per cent of the time between November and January, and 55 per cent of the time in May and June. 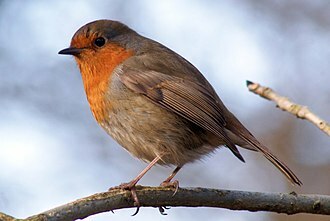 The average winter temperature was around −5 °C (23 °F), and the mean monthly temperature for the year was −0.5 °C (31.1 °F). In an average year the summit sees 261 gales, and receives 4,350 millimetres (171 in) of rainfall, compared to only 2,050 millimetres (81 in) in nearby Fort William, 840 millimetres (33 in) in Inverness and 580 millimetres (23 in) in London. Rainfall on Ben Nevis is about twice as high in the winter as it is in the spring and summer. Snow can be found on the mountain almost all year round, particularly in the gullies of the north face – with the higher reaches of Observatory Gully holding snow until September most years and sometimes until the new snows of the following season. The first recorded ascent of Ben Nevis was made on 17 August 1771 by James Robertson, an Edinburgh botanist, who was in the region to collect botanical specimens. Another early ascent was in 1774 by John Williams, who provided the first account of the mountain's geological structure. John Keats climbed the mountain in 1818, comparing the ascent to "mounting ten St. Pauls without the convenience of a staircase". The following year William MacGillivray, who was later to become a distinguished naturalist, reached the summit only to find "fragments of earthen and glass ware, chicken bones, corks, and bits of paper". It was not until 1847 that Ben Nevis was confirmed by the Ordnance Survey as the highest mountain in Britain and Ireland, ahead of its rival Ben Macdhui. 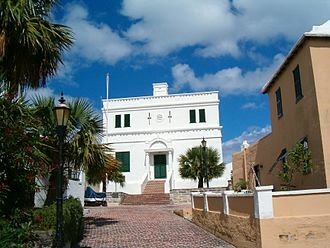 The summit observatory was built in the summer of 1883, and would remain in operation for 21 years. The first path to the summit was built at the same time as the observatory and was designed to allow ponies to carry up supplies, with a maximum gradient of one in five. The opening of the path and the observatory made the ascent of the Ben increasingly popular, all the more so after the arrival of the West Highland Railway in Fort William in 1894. Around this time the first of several proposals was made for a rack railway to the summit, none of which came to fruition. In 2000, the Ben Nevis Estate, comprising all of the south side of the mountain including the summit, was bought by the Scottish conservation charity the John Muir Trust. In 2016, the height of Ben Nevis was officially remeasured to be 1344.527m by Ordnance Survey. The height of Ben Nevis will therefore be shown on new Ordnance Survey maps as 1,345 metres (4,413 ft) instead of the now obsolete value of 1,344 metres (4,409 ft). The 1883 Pony Track to the summit (also known as the Ben Path, the Mountain Path or the Tourist Route) remains the simplest and most popular route of ascent. It begins at Achintee on the east side of Glen Nevis about 2 km (1.2 mi) from Fort William town centre, at around 20 metres above sea level. Bridges from the Visitor Centre and the youth hostel now allow access from the west side of Glen Nevis. The path climbs steeply to the saddle by Lochan Meall an t-Suidhe (colloquially known as the 'Halfway Lake') at 570 m, then ascends the remaining 700 metres up the stony west flank of Ben Nevis in a series of zig-zags. The path is regularly maintained but running water, uneven rocks and loose scree make it hazardous and slippery in places. Thanks to the zig-zags, the path is not unusually steep apart from in the initial stages, but inexperienced walkers should be aware that the descent is relatively arduous and wearing on the knees. A route popular with experienced hillwalkers starts at Torlundy, a few miles north-east of Fort William on the A82 road, and follows the path alongside the Allt a' Mhuilinn. It can also be reached from Glen Nevis by following the Pony Track as far as Lochan Meall an t-Suidhe, then descending slightly to the CIC Hut. The route then ascends Càrn Mòr Dearg and continues along the Càrn Mòr Dearg Arête ("CMD Arête") before climbing steeply to the summit of Ben Nevis. This route involves a total of 1,500 metres of ascent and requires modest scrambling ability and a head for heights. In common with other approaches on this side of the mountain, it has the advantage of giving an extensive view of the cliffs of the north face, which are hidden from the Pony Track. It is also possible to climb Ben Nevis from the Nevis Gorge car park at Steal at the head of the road up Glen Nevis, either by the south-east ridge or via the summit of Càrn Dearg (south-west). These routes require mild scrambling, are shorter and steeper than the Pony Track, and tend only to be used by experienced hill walkers. The summit survival shelter (centre) atop the ruined observatory. The squat summit cairn (right) has a trig point. 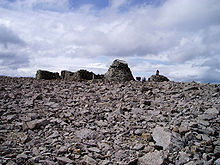 The summit of Ben Nevis comprises a large stony plateau of about 40 hectares (100 acres). The highest point is marked with a large, solidly built cairn atop which sits an Ordnance Survey trig point. The summit is the highest ground for over 400 miles (640 km), before the Scandinavian Mountains in western Norway are reached, which contain many peaks higher than Ben Nevis. The summit is much higher than the Faroe Islands as well as the rest of the British Isles. The ruined walls of the observatory are a prominent feature on the summit. An emergency shelter has been built on top of the observatory tower for the benefit of those caught out by bad weather. Although the base of the tower is slightly lower than the true summit of the mountain, the roof of the shelter overtops the trig point by several feet, making it the highest man-made structure in the UK. A war memorial to the dead of World War II is located next to the observatory. The view from the UK's highest point is extensive. Under ideal conditions, it can extend to over 190 kilometres (120 mi), including such mountains as the Torridon Hills, Morven in Caithness, Lochnagar, Ben Lomond, Barra Head and to Knocklayd in County Antrim, Northern Ireland. An undated photograph of the Ben Nevis observatory (1883-1904) and 'hotel' (hostel). 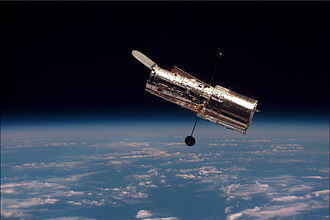 The hotel began as a spare-room-for-hire within the observatory, and remained open until 1916. A meteorological observatory on the summit was first proposed by the Scottish Meteorological Society (SMS) in the late-1870s, at a time when similar observatories were being built around the world to study the weather at high altitude. In the summer of 1881, Clement Lindley Wragge climbed the mountain daily to make observations (earning him the nickname "Inclement Rag"), leading to the opening on 17 October 1883 of a permanent observatory run by the SMS. The building was manned full-time until 1904, when it was closed due to inadequate funding. The twenty years worth of readings still provide the most comprehensive set of data on mountain weather in Great Britain. In September 1894, C. T. R. Wilson was employed at the observatory for a couple of weeks as temporary relief for one of the permanent staff. During this period, he witnessed a Brocken spectre and glory, caused by the sun casting a shadow on a cloud below the observer. He subsequently tried to reproduce these phenomena in the laboratory, resulting in his invention of the cloud chamber, used to detect ionising radiation. Marjory Roy, a member of the Scottish Meteorological Society is the author of the book The Ben Nevis Weathermen, which is in print and available from SMC or from the West Highland Museum in Fort William. This tells the story of the funding, building and operating of the Ben Nevis Observatory in Fort William, Scotland. View south-west from the summit in early April. When the cliff edges are corniced, accurate navigation is critical. Ben Nevis's popularity, climate and complex topography contribute to a high number of mountain rescue incidents. In 1999, for example, there were 41 rescues and four fatalities on the mountain. Some accidents arise over difficulties in navigating to or from the summit, especially in poor visibility. 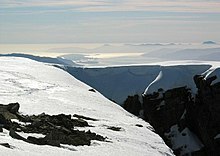 The problem stems from the fact that the summit plateau is roughly kidney-shaped and surrounded by cliffs on three sides; the danger is particularly accentuated when the main path is obscured by snow. Two precise compass bearings taken in succession are necessary to navigate from the summit cairn to the west flank, from where a descent can be made on the Pony Track in relative safety. In the late 1990s, Lochaber Mountain Rescue Team erected two posts on the summit plateau to assist walkers attempting the descent in foggy conditions. These posts were subsequently cut down by climbers, sparking controversy in mountaineering circles on the ethics of such additions. Critics argued that cairns and posts are an unnecessary man-made intrusion into the natural landscape, which create a false sense of security and could lessen mountaineers' sense of responsibility for their own safety. Supporters of navigational aids pointed to the high number of accidents that occurred on the mountain (between 1990 and 1995 alone there were 13 fatalities, although eight of these were due to falls while rock climbing rather than navigational error), the long tradition of placing such aids on the summit, and the potentially life-saving role they could play. A series of solidly-constructed cairns currently (September 2009) marks the upper reaches of the Pony Track. Major features of the north face summit region. The north face of Ben Nevis is riven with buttresses, ridges, towers and pinnacles, and contains many classic scrambles and rock climbs. It is of major importance for British winter climbing, with many of its routes holding snow often until late April. It was one of the first places in Scotland to receive the attention of serious mountaineers, with an ascent of Tower Ridge in 1892 the earliest documented climbing expedition on the Ben. (It was not climbed from bottom to top for another two years). 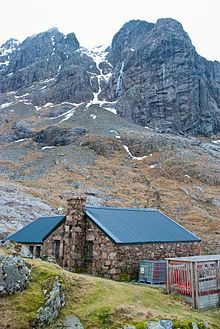 The Scottish Mountaineering Club's Charles Inglis Clark hut was built below the north face in Coire Leis in 1929. Because of its remote location, it is said to be the only genuine alpine hut in Britain. It remains popular with climbers, especially in winter. Tower Ridge is the longest of the north face's four main ridges, with around 600 metres of ascent. It is not technically demanding (its grade is Difficult), and most pitches can be tackled unroped by competent climbers, but it is committing and very exposed. Castle Ridge (Moderate), the northernmost of the main ridges, is an easier scramble, while Observatory Ridge (Very Difficult), the closest ridge to the summit, is "technically the hardest of the Nevis ridges in summer and winter". Between the Tower and Observatory Ridges are the Tower and Gardyloo Gullies; the latter takes its name from the cry of "garde à l'eau" (French for "watch out for the water") formerly used in Scottish cities as a warning when householders threw their slops (and worse) out of a tenement window into the street. The gully's top wall was the refuse pit for the now-disused summit observatory. The North-east Buttress (Very Difficult) is the southernmost and bulkiest of the four ridges; it is as serious as Observatory Ridge but not as technically demanding, mainly because an "infamous" rock problem, the 'Man-trap', can be avoided on either side. A temperature inversion around Càrn Dearg Buttress and Castle Corrie. The north face contains dozens of graded rock climbs along its entire length, with particular concentrations on the Càrn Dearg Buttress (below the Munro top of Càrn Dearg NW) and around the North-east Buttress and Observatory Ridge. Classic rock routes include Rubicon Wall on Observatory Buttress (Severe) – whose second ascent in 1937, when it was considered the hardest route on the mountain, is described by W. H. Murray in Mountaineering in Scotland – and, on Càrn Dearg, Centurion and The Bullroar (both HVS), Torro (E2), and Titan's Wall (E3), these four described in the SMC's guide as among "the best climbs of their class in Scotland". Many seminal lines were recorded before the First World War by pioneering Scottish climbers like J N Collie, Willie Naismith, Harold Raeburn, and William and Jane Inglis Clark. 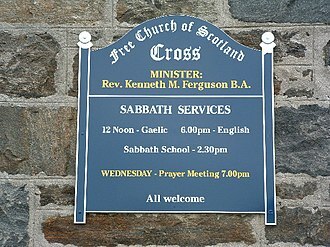 Other classic routes were put up by G. Graham Macphee, Dr James H. B. Bell and others between the Wars; these include Bell's 'Long Climb', at 1,400 ft (430 m) reputedly the longest sustained climb on the British mainland. In summer 1943 conscientious objector Brian Kellett made a phenomenal seventy-four repeat climbs and seventeen first ascents including fourteen solos, returning in 1944 to add fifteen more new lines, eleven solo, including his eponymous HVS on Gardyloo buttress. Much more recently, an extreme and as-yet ungraded climb on Echo Wall was completed by Dave MacLeod in 2008 after two years of preparation. An ice-climber exiting Number Five Gully (450m I). Tower Gap can be discerned in the background. The north face is also one of Scotland's foremost venues for winter mountaineering and ice climbing, and holds snow until quite late in the year; in a good year, routes may remain in winter condition until mid-spring. Most of the possible rock routes are also suitable as winter climbs, including the four main ridges; Tower Ridge, for example, is grade IV on the Scottish winter grading system, having been upgraded in 2009 by the Scottish Mountaineering Club after requests by the local Mountain Rescue Team, there being numerous benightments and incidents every winter season. Probably the most popular ice climb on Ben Nevis is The Curtain (IV,5) on the left side of the Càrn Dearg Buttress. At the top end of the scale, Centurion in winter is a grade VIII,8 face climb. In February 1960 James R. Marshall and Robin Clark Smith recorded six major new ice routes in only eight days including Orion Direct (V,5 400m); this winter version of Bell's Long Climb was "the climax of a magnificent week's climbing by Smith and Marshall, and the highpoint of the step-cutting era." The history of hill running on Ben Nevis dates back to 1895. William Swan, a barber from Fort William, made the first recorded timed ascent up the mountain on or around 27 September of that year, when he ran from the old post office in Fort William to the summit and back in 2 hours 41 minutes. 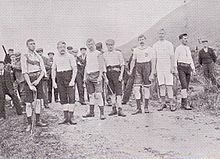 The following years saw several improvements on Swan's record, but the first competitive race was held on 3 June 1898 under Scottish Amateur Athletic Association rules. Ten competitors ran the course, which started at the Lochiel Arms Hotel in Banavie and was thus longer than the route from Fort William; the winner was 21-year-old Hugh Kennedy, a gamekeeper at Tor Castle, who finished (coincidentally with Swan's original run) in 2 hours 41 minutes. Regular races were organised until 1903, when two events were held; these were the last for 24 years, perhaps due to the closure of the summit observatory the following year. The first was from Achintee, at the foot of the Pony Track, and finished at the summit; It was won in just over an hour by Ewen MacKenzie, the observatory roadman. The second race ran from new Fort William post office, and MacKenzie lowered the record to 2 hours 10 minutes, a record he held for 34 years. The Ben Nevis Race has been run in its current form since 1937. It now takes place on the first Saturday in September every year, with a maximum of 500 competitors taking part. It starts and finishes at the Claggan Park football ground on the outskirts of Fort William, and is 14 kilometres (8.7 mi) long with 1,340 metres (4,400 ft) of ascent. Due to the seriousness of the mountain environment, entry is restricted to those who have completed three hill races, and runners must carry waterproofs, a hat, gloves and a whistle; anyone who has not reached the summit after two hours is turned back. As of 2018, the record for the men's race has stood unbroken since 1984, when Kenny Stuart of Keswick Athletic Club won with a time of 1:25:34. The record for the women's race of 1:43:01 was set in 2018 by Victoria Wilkinson. Ben Nevis is becoming popular with ski mountaineers and boarders. The Red Burn (Allt Coire na h-Urcaire) just to the North of the tourist path gives the easiest descent, but most if not all of the easier gullies on the North Face have been skied, as has the slope once adorned by the abseil poles into Coire Leis. No 4 gully is probably the most skied. Although Tower scoop makes it a no-fall zone, Tower Gully is becoming popular, especially in May and June when there is spring snow. Ben Nevis's popularity and high-profile have led to concerns in recent decades over the impact of humans on the fragile mountain environment within the Ben Nevis and Glen Coe National Scenic Area. These concerns contributed to the creation of The Nevis Landscape Partnership, a five-year programme which aims to protect, enhance and future-proof Ben Nevis by delivering nineteen ambitious environmental projects between 2014 and 2019. The Nevis Landscape Partnership is supported by five partner organisations (John Muir Trust, Forestry Commission Scotland, The Highland Council, Scottish Natural Heritage & The Nevis Partnership) and has been made possible by Heritage Lottery Funding. Now in project year three (March 2016 – March 2017), there have been significant positive changes implemented by Nevis Landscape Partnership and their projects, most significantly the upgrades to the Ben Nevis Mountain Track. Work to upgrade the mountain track started in November 2015 after two contracts were awarded to McGowan Ltd. & Cairngorm Wilderness Contracts. Both contractors immediately started bagging stone from high up Ben Nevis to be brought down to by helicopter to replace crumbling steps and stabilise eroding parts of the path. The project will eventually upgrade 3.5 km of the mountain track from the starting point at Achintee all the way up to John's Wall; this year the maintenance was focused on a difficult middle section which was most in need of attention. After six months of hard work and battling with the weather, the contractors have now upgraded 1 km of the mountain track which is roughly 30% of the overall maintenance this project will carry out. The next contracted works will resume towards the end of September, after the Ben Nevis Race, for stage two of the project. Volunteer effort has already been a huge help and will continue to be a large contributing factor to the overall upgrade of the mountain track. Nevis Landscape Partnership are working closely with National Trust for Scotland to run Thistle Camp Working Holidays which will focus on much-needed maintenance on the first section of the Ben Nevis footpath and allow outdoor enthusiasts to actively be a part of maintaining and protecting the United Kingdom's highest mountain for this generation and many more to come. The Ben Nevis Distillery is a single malt whisky distillery at the foot of the mountain, near Victoria Bridge to the north of Fort William. Founded in 1825 by John McDonald (known as "Long John"), it is one of the oldest licensed distilleries in Scotland, and is a popular visitor attraction in Fort William. The water used to make the whisky comes from the Allt a' Mhuilinn, the stream that flows from Ben Nevis's northern corrie. "Ben Nevis" 80/- organic ale is, by contrast, brewed in Bridge of Allan near Stirling. Ben Nevis was the name of a White Star Line packet ship which in 1854 carried the group of immigrants who were to become the Wends of Texas. At least another eight vessels have carried the name since then. A mountain in Svalbard is also named Ben Nevis, after the Scottish peak. It is 922 metres high, and is south of the head of Raudfjorden, Albert I Land, in the northwestern part of the island of Spitsbergen. A comic strip character, Wee Ben Nevis, about a Scottish Highlands boarding school student with superhuman strength and his antics were featured in the British comic The Beano from 1974 to 1977, was named after the mountain. Hung Fa Chai, a 489-metre hill in Northeast New Territories of Hong Kong was marked as Ben Nevis on historical colonial maps. The Remarkables, New Zealand – mountain range containing a peak also called Ben Nevis. ^ a b c "Great Britain's tallest mountain is taller". 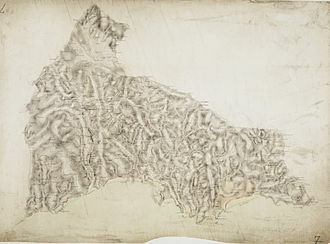 Ordnance Survey. 2016-03-18. Retrieved 18 March 2016. ^ "Ben Nevis". John Muir Trust. Retrieved 30 October 2016. ^ a b The Nevis Working Party (2001). "Nevis Strategy" (PDF). Archived (PDF) from the original on 4 November 2006. Retrieved 5 November 2006. ^ a b "How volcanoes shaped Britain's landscape". BBC News. 5 July 2012. ^ "Ben Nevis, or the 'Ben' as it is fondly known locally". Visit Fort William Ltd. Archived from the original on 18 October 2007. Retrieved 23 October 2007. ^ "Ben Nevis is almost always referred to by climbers as simply The Ben (Ben meaning Mountain)". The Ben Nevis Challenge. Archived from the original on 3 November 2007. Retrieved 23 October 2007. ^ a b Scottish Mountaineering Club website. "Charles Inglis Clark Memorial Hut (C.I.C.)". Archived from the original on 15 September 2007. Retrieved 12 November 2007. ^ D.A. Bearhop (1997). revised and edited by Derek A. Bearhop., ed. Munro's Tables. Scottish Mountaineering Club & Trust. ISBN 978-0-907521-53-2. ^ "Geology of Ben Nevis". ben-nevis.com. Retrieved 5 July 2012. ^ Averis, A. B. G.; Averis A. M. (2005). "A survey of the vegetation of Ben Nevis Site of Special Scientific Interest and Special Area of Conservation, 2003–2004" (PDF). Scottish National Heritage Commissioned Report. 090. Retrieved 11 December 2006. ^ McKirdy, Alan Gordon, John & Crofts, Roger (2007) Land of Mountain and Flood: The Geology and Landforms of Scotland. Edinburgh. Birlinn. Pages 114–6. ^ a b c d e Marjorie Roy (2004). "The Ben Nevis Meteorological Observatory 1883–1904" (PDF). International Commission on History of Meteorology. Retrieved 27 November 2006. ^ Eric Langmuir (1995). Mountaincraft and Leadership (Third edition). 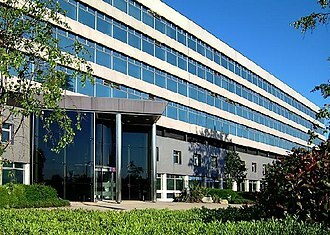 SportScotland, Edinburgh. ISBN 978-1-85060-295-8. ^ "Aonach Mòr Summit 1981–2010 averages". Station, District and regional averages 1981–2010. Met Office. Retrieved 5 September 2017. ^ Suzanne Miller (2004). "Ben Nevis Geology". The Edinburgh Geologist. 43: 3–9. ^ Hunter, Andrew (September 2014). "Bones on Ben Nevis - a walk back into history". Leopard Magazine: 30–34. ISSN 2053-9851. ^ a b c d e f Hugh Dan MacLennan (November 1998). "The Ben Race: The supreme test of athletic fitness" (PDF). The Sports Historian. 18 (2): 131–147. doi:10.1080/17460269809445800. Retrieved 2 June 2009. ^ "Piano found on Britain's highest mountain". The Guardian. London. 17 May 2006. Retrieved 30 October 2016. ^ "New twist in Nevis music mystery". BBC News. 18 May 2006. Retrieved 22 June 2006. ^ "Trust names Ben Nevis 'piano men'". BBC News. 19 May 2006. Retrieved 15 August 2006. ^ Viewfinder Panoramas: North, South. Retrieved 25 November 2006. ^ Crocket, Ken (1986). Ben Nevis : Britain's highest mountain. Glasgow: Scottish Mountaineering Trust. pp. 41–44. ISBN 978-0907521167. ^ Nobel Foundation (1965). "C. T. R. Wilson Biography from Nobel Lectures, Physics 1922–1941, Elsevier Publishing Company, Amsterdam". Retrieved 27 November 2006. ^ YouTube. Retrieved 18 March 2016. ^ a b c The Mountaineering Council of Scotland (1997). "Ben Nevis—The Future". Newsletter. 33. ^ "Navigation on Ben Nevis". www.mcofs.org.uk. Mountaineering Scotland. Retrieved 30 October 2016. ^ a b The Mountaineering Council of Scotland. "Summit Safety and Ben Nevis Cairns: The MCofS seeks a resolution" (also see sub-pages). Archived from the original on 27 September 2006. Retrieved 26 October 2006. ^ a b Terry Adby & Stuart Johnston (2003). The Hillwalker's Guide to Mountaineering. Milnthorpe: Cicerone. pp. 240–247. ISBN 978-1-85284-393-9. ^ a b Crocket, Ken; Richardson, Simon (2009). Ben Nevis: Britain's Highest Mountain (second edition). Glasgow: Scottish Mountaineering Trust. p. 100. ISBN 978-1-907233-10-4. ^ a b c Richardson, Simon (2002). 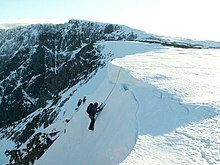 Ben Nevis: Rock and Ice Climbs. Glasgow: Scottish Mountaineering Trust. p. 53. ISBN 978-0-907521-73-0. ^ "MacLeod's Boldest: Echo Wall". Alpinist.com. Retrieved 22 February 2006. ^ "Climbing on Ben Nevis". Scottish Climbing Archive. Archived from the original on 24 September 2006. Retrieved 26 October 2006. 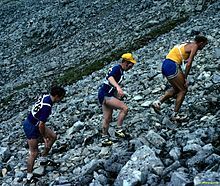 ^ "Ben Nevis Race – a brief history". Fort William Online. Archived from the original on 2 January 2007. Retrieved 25 November 2006. ^ a b "Ben Nevis Race". www.scottishhillracing.co.uk. Retrieved 2 January 2019. ^ Bob Kopac. "For Sport Alone: The Ben Nevis Race". MHRRC Online. Retrieved 2009-06-02. ^ "Ben Nevis Distillery". Archived from the original on 25 November 2006. Retrieved 25 November 2006. ^ "Ben Nevis". Edinburgh Malt Whisky Tour. Archived from the original on 10 October 2006. Retrieved 25 November 2006. ^ "Ben Nevis Distillery". Scotchwhisky.net. Archived from the original on 29 December 2006. Retrieved 25 November 2006. ^ "Ben Nevis ale". Archived from the original on 22 October 2007. Retrieved 11 December 2006. ^ Lammert, Ron (January 2010). "Texas Wendish Heritage Society: Brief History". Texas Wendish Heritage Society. ^ "Miramar Ship Index". Retrieved 18 March 2016. ^ "Place names in Norwegian polar areas". 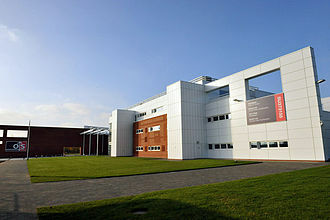 Norwegian Polar Institute. 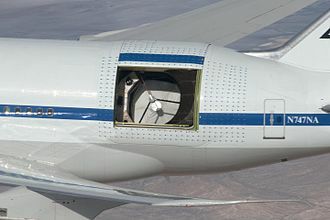 Retrieved 11 March 2009. Butterfield, Irvine (1986). The High Mountains of Britain and Ireland. London: Diadem Books. pp. 96–99. ISBN 978-0-906371-71-8. Crocket, Ken; Richardson, Simon (2009). Ben Nevis: Britain's Highest Mountain: 2nd Edition. The Scottish Mountaineering Trust. ISBN 978-1-907233-10-4. Hodgkiss, Peter (1994). The Central Highlands (5th ed.). Scottish Mountaineering Trust. pp. 116–134. ISBN 978-0-907521-44-0. Irving, R. L. G. (1940). Ten Great Mountains. London: J. M. Dent & Sons. Ordnance Survey. (2002). Landranger 41: Ben Nevis (Map). Ordnance Survey. ISBN 0-319-22641-7. Murray, W. H. (1977). 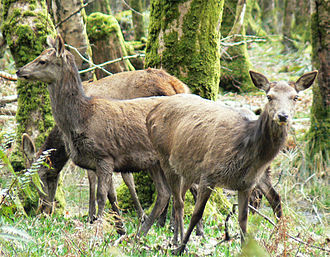 The Companion Guide to the West Highlands of Scotland. London: Collins. pp. 218–221. ISBN 978-0-00-216813-7. Richardson, Simon (2002). Ben Nevis: Rock and Ice Climbs. The Scottish Mountaineering Trust. ISBN 978-0-907521-73-0. Navigation on Ben Nevis Advice for people walking up Ben Nevis – available as leaflet in the town. Ben Nevis. Munros Table. Scottish Mountaineering Club. 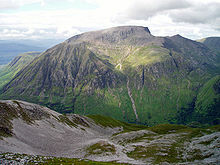 Wikimedia Commons has media related to Ben Nevis. 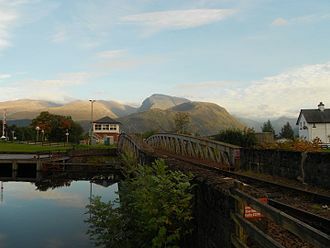 Wikivoyage has a travel guide for Ben Nevis. Look up ben nevis in Wiktionary, the free dictionary. The Shire of Inverness is a historic county and lieutenancy area of Scotland. Covering much of the Highlands, it is Scotlands largest county, though one of the smallest in population, the extent of the lieutenancy area was defined in 1975 as covering the districts of Inverness, Badenoch & Strathspey, and Lochaber. Inverness-shire is Scotlands largest county, and the second largest in the UK as a whole after Yorkshire and it borders Ross to the north, Moray and Aberdeenshire to the east, and Perthshire and Argyll to the south. It covers a large area and various island areas off the west coast. 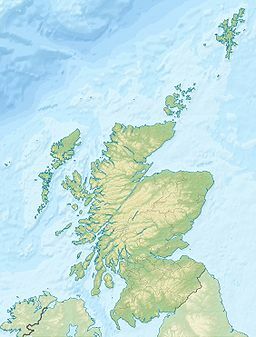 The mainland area has coastline in both the east and the west, the island areas include North Uist, South Uist and Harris in the Outer Hebrides and Skye and the Small Isles in the Inner Hebrides. 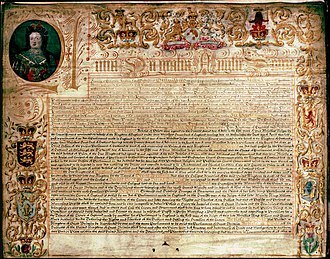 Principal settlements include Inverness, Fort William, Fort Augustus and Portree. Inverness-shires coat of arms is blazoned, Azure, in chief a stags head and in sinister chief a bulls head both erased, and in base a galley, sails furled, oars in action and flagged. Beneath the shield an escrol bearing this motto, Air son Math na Siorrachd, the galley represents Clan Chattan, who aligned themselves under the banner of Somerled, Lord of the Isles. The stags head comes from the crest of the Frasers of Lovat, the motto is in Gaelic and means For the Good of the County. 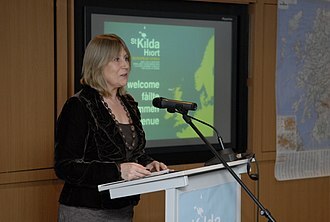 Also, use of the new boundaries for parliamentary elections was specifically excluded, the old county councils were abolished by the Local Government Act 1973 and Scotland was instead governed by a two-tier system of regions and districts. Mainland Inverness-shire was split amongst four districts of the Highland region, the burgh of Inverness and the Aird and Inverness districts were merged to form the Inverness Local Government district of the Highland region. The burgh of Fort William and the Lochaber district were merged with areas from the county of Argyll to form the Lochaber district of the Highland region. 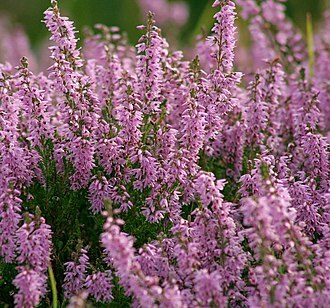 The Skye district was merged with an area from the county of Ross and Cromarty to form the Skye, the burgh of Kingussie and the Badenoch district were merged with areas from the county of Moray to form the Badenoch and Strathspey district of the Highland region. Fort William is the second largest settlement in the Highlands of Scotland with around 10,000 inhabitants – and the largest town, only the city of Inverness is larger. Fort William is a major tourist centre, with Glen Coe just to the south, Aonach Mòr to the east and Glenfinnan to the west and it is a centre for hillwalking and climbing due to its proximity to Ben Nevis and many other Munro mountains. It is known for its downhill mountain bike track. It is the start/end of both the West Highland Way and the Great Glen Way, around 726 people can speak Gaelic. Questions over the towns English name are various, the post-Glorious Revolution fort was named Fort William after William of Orange, and the settlement that grew around it was called Maryburgh, after his wife. This settlement was renamed Gordonsburgh, and Duncansburgh before being renamed Fort William, given these origins, there have been various suggestions over the years to rename the town. These proposals have led to nothing, questions over the towns Gaelic name are quite interesting. The Gaelic name for the town is An Gearasdan, this is an adaptation of the French term garnison, French loanwords that took root during the Norman ascendancy in the British Isles and the Auld Alliance are far more common in the Scots language than in Gaelic. Historically, this area of Lochaber was strongly Clan Cameron country, the nearby settlement of Inverlochy was the main settlement in the area before the building of the fort, and was site of the Battle of Inverlochy. 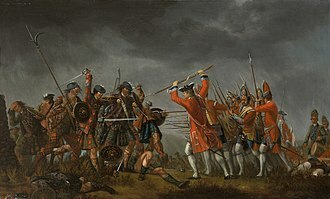 In the Jacobite rising known as the Forty-Five, Fort William was besieged for two weeks by the Jacobites, from 20 March to 3 April 1746. However, although the Jacobites had captured both of the forts in the chain of three Great Glen fortifications they failed to take Fort William. During the Second World War, Fort William was the home of HMS St Christopher which was a base for Royal Navy Coastal Forces. More on the history of the town and the region can be found in the West Highland Museum on the High Street, on 2 June 2006, a fire destroyed McTavishs Restaurant in Fort William High Street along with the two shops which were part of the building. Ice climbing is the activity of ascending inclined ice formations. Usually, ice climbing refers to roped and protected climbing of features such as icefalls, frozen waterfalls, for the purposes of climbing, ice can be broadly divided into two spheres, alpine ice and water ice. Alpine ice is found in an environment, usually requires an approach to reach. Water ice is found on a cliff or other outcropping beneath water flows. Alpine ice is frozen precipitation whereas water ice is a liquid flow of water. Technical grade is, independent of ice type and both types of ice vary greatly in consistency according to weather conditions, Ice can be soft, brittle or tough. Mixed climbing is ascent involving both ice climbing and rock climbing, a climber chooses equipment according to the slope and texture of the ice. 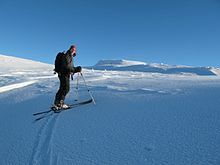 On short, low angled slopes, one can use an ice axe to chop steps, for longer and steeper slopes or glacier travel, crampons are mandatory for a safe climb. Vertical ice climbing is done with crampons and ice axes, climbers kick their legs to engage the front points of the crampons in the ice and this technique is known as front pointing. The strength of the ice is often surprising, even if the axe goes in only a centimeter or so it is enough to pull up on, if a climber is leading, they will need to place ice screws as protection on the way up. Most mountaineers would only consider the last scenario true ice climbing, some important techniques and practices common in rock climbing that are employed in ice climbing include knowledge of rope systems, tying in, leading and lowering. Beginners should learn these techniques before attempting to ice climb and it is highly recommended that one acquire knowledge from experts and experienced ice climbers. Single and twin rope are the three main rope systems used in ice climbing, the single rope system, which is suited for straight climbing routes, is the most commonly used rock climbing system in the world. Also often used in climbing is the rope system which is a more flexible system than the single rope system. Lastly, the rope system, which uses two twin ropes in a single rope system, is used for longer multi-pitch routes. Scotland is the most mountainous country in the United Kingdom. The area north and west of the Highland Boundary Fault is known as the Highlands, scotlands mountain ranges, in a rough north to south direction are, The Highlands & Islands, The Hills of the Central Lowlands, the Southern Uplands. The zone includes Britains highest peaks, especially Ben Nevis at over 4000 feet, some of the most spectacular mountains occur in the northwest highlands, especially on Skye, the largest island off the coast. On the mainland nearby lie some great ranges based on the Torridonian sandstone, some of the highest peaks, such as Beinn Eighe are crowned by white quartzite, which gives those peaks a distinctive appearance. The trend continues to the north with larger caps of the rock at Foinaven. Some of the quartzite contains fossilized worm burrows and it is known as pipe rock and is circa 500 million years old. The formation continues to the north with gigantic peaks such as An Teallach near Ullapool, the Torridonian rocks continue south to Applecross opposite Skye, where similar massive mountains occur. The Black Cuillin are mainly composed of basalt and gabbro, the latter being a rough rock which makes for superb grip for mountaineers. It is from the colour of the gabbro that the Black Cuillin receive their name. The summits of the Cuillin are bare rock, jagged in outline and with steep cliffs, the Northwest Highlands, lying to the north and west of the Great Glen. The Cuillin, on the Isle of Skye, the Grampians, the main belt of mountains across the centre of Scotland includes the Cairngorms. The Torridon Hills of Wester Ross The mountains exhibit many notable individual peaks and many exceed 1,000 metres in height, to the south, Glen Coe has many notable mountains, such as Buachaille Etive Mòr and Bidean nam Bian, both of which are Munros. There is a ridge walk, the Aonach Eagach. The ridge is one of the most popular scrambles in the entire country, the range includes many of the highest mountains in the British Isles, including Ben Nevis and Ben Macdui the two highest. The Cairngorm Plateau is the highest and snowiest plateau in the British Isles, because they are much closer to towns and cities, they are more popular for hill walking and rambling than the more distant mountains of the northern Highlands. Fort William from Loch Linnhe. Ice climbing during ascent to Tartu Ülikool 350 in 1982. Photo by Jaan Künnap. Ice climbing anchor with two ice screws. Fig. 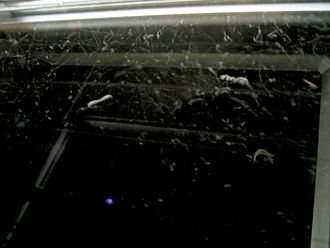 1: Cloud chamber photograph of the first positron ever observed by C. Anderson. Allt an t-Sneachda or the Snow Goose. The main red run on Aonach Mor in good snow conditions.